It is quite common for two actors to have multiple releases on the same day. 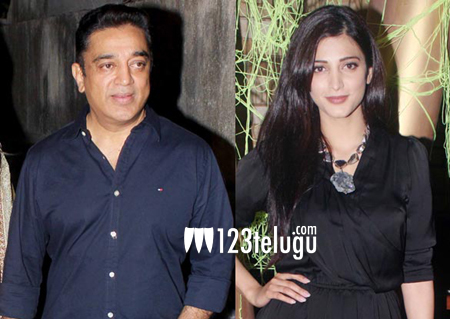 However, things will be different when Shruti Haasan will be clashing with her dad and veteran actor Kamal Haasan at the box office this May. Shruti’s forthcoming Hindi film ‘Gabbar is Back’ will hit the screens on May 1st, which also marks the release of Kamal Haasan’s much awaited project ‘Uttama Villain’. Even though both the films belong to different genres and languages, it will be quite interesting to see the clash between the father and daughter.